Our solution to simplify dressing in the swing month of September is to combine the summer fresh whites, and the ubiquitous urban blacks into a fresh fall look. All of these dresses can go from coffee to cocktails with great ease. The end of summer is a bittersweet transition that signals the finals days of carefree carousing and the return to the fall's productive pace. Even if the last three months have not been exactly a holiday, having been spent in utter work-mode, the balmy season yet holds the promise of what could be; of long, lasting sunsets, of picnics in the park, of strolls on sandy beaches. And now, that specific seasonal anticipation is almost gone. Dressing too is in a transition. The temperature is not quite ready for wools and tweeds, but we are past the little summer sundress state of mind. Straight from the gate, there are so many events to consider: Fashion Week (more about this next week), new plays to see, art openings to attend, school functions for the little darlings, and on and on. 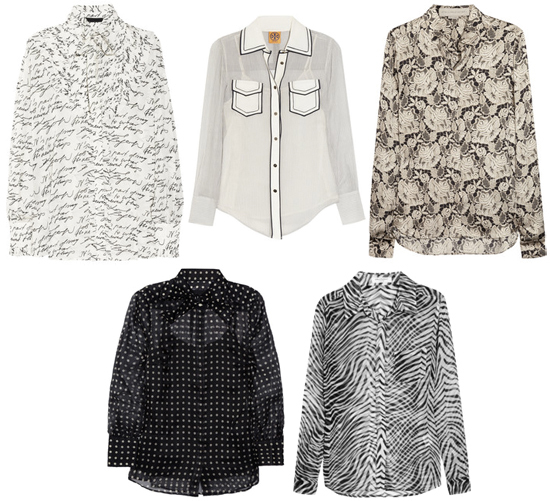 ... or pick a fresh, modern print. We call these "Dinner Tops" -- just pair with some black pants and heels and you are ready to go to town. 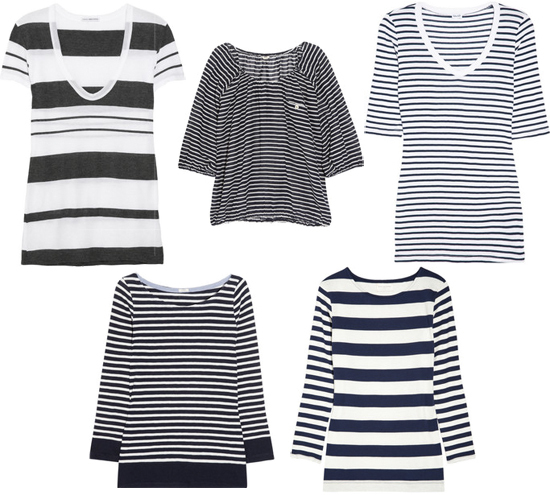 Or for running errands, school drop-offs and lunch with the girls, consider these chicly-fresh stripes. While the summer sun is fading, fall is full of its own excitement and expectations. September feels more like a New Year than bleak January when it is extremely difficult to honor the accustomed resolutions. There is a certain "back to school" mentality of getting yourself organized -- packed pencil case, shiny, clean composition pads, fresh, untouched text books. It all comes down to an eager readiness for something new; to learn what has been previously unknown, and to see things in a different light. That is the bright essence of fall.